Mauro Giuliani (1781-1828) is considered one of the greatest composers and Guitar virtuosos from the Romantic period. His work contains compositions for one and two Guitars, including studies and concert pieces. 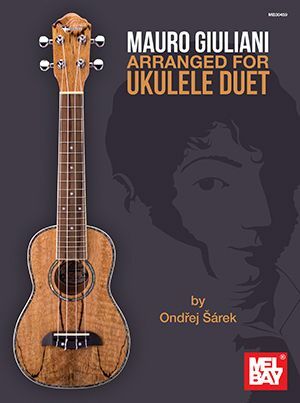 Mauro Giuliani Arranged For Ukulele Duet By Ondrej Sarek presents a Ukulele duet arrangement of "12 Neue Landler", a salon-style Guitar duet written in the form of a contemporary dance. The first Ukulele performs both the melody and bass parts, while the second Ukulele provides fingerpicking accompaniment.